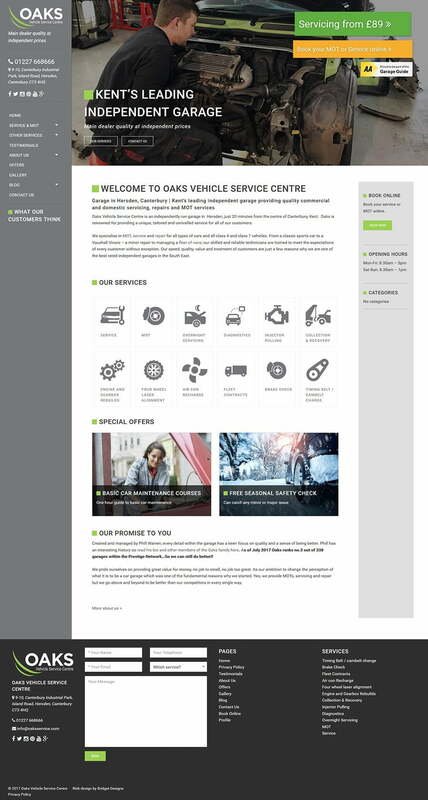 Oaks Vehicle Service Centre approached us as their existing website had been built from a third party theme and was slow to load, and didn’t offer what what they need to promote the business effectively. They were looking for a new, custom website that would make them stand out and search engine optimisation to help them rank highly in the local area. The site features an contemporary design that is clear and easy to use and works on all devices. There is an online booking feature so customers can easily books MOTs or service with them and a blog with video tutorials to give added value to their users. The site is fully responsive and editable as it is a custom WordPress design.